Your business has a brand all its own. If you’re just starting out, your brand is THE MOST IMPORTANT part of your business. If you’ve been in business for a while, you may start to feel a bit tired with the look of your site. Either way, you’ll definitely want to take a peek at this amazing e-book to see how you can design a brand that fuels your excitement and your creative business for years to come. Claim to Fame: Owner of the photography business, smile.play.love., and business blogger behind Build a Little Biz. Karen breaks the huge concept of branding down into manageable pieces that can be done bit by bit. I thought I’d branded my business pretty effectively but there were so many things I missed! (Which not only shocked me but made me realize just how much Karen knows about this topic.) I didn’t realize the multitude of ways people interact with my brand. It’s so important to make sure my message is consistent and yet I wasn’t looking at what my font choice, my Facebook content, or even my personal photo were conveying! Oh goodness! Karen helped me redesign everything around the framework I created for my business with the first few chapters of her book. What makes Karen’s book unique? Karen looks at the whole picture and works from a formula she developed herself over her years in business (and her multiple name and brand changes). This book reads in a different order than I expected (after all, naming your business is Chapter 4, not Chapter 1), but it made so much more sense as Karen guided me through it. Her brainstorming worksheets really allowed me to delve into my logo, my message, and my target market. Launch guide! After all of her amazing advice, Karen then dishes out an in-depth launch plan to help you rock your redesign! She literally gave me 3 whole pages of ideas, like setting a timer up on my site and creating a ‘secret group’ of elite fans who want advanced sneak peeks and deals for the new brand. Have you been feeling a bit blah about the look of your business lately? Want to feel that rush of love and excitement you first felt? 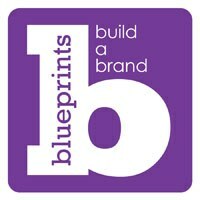 Then you’ll definitely enjoy Blueprints – Build a Brand by Karen Gunton of Build a Little Biz.